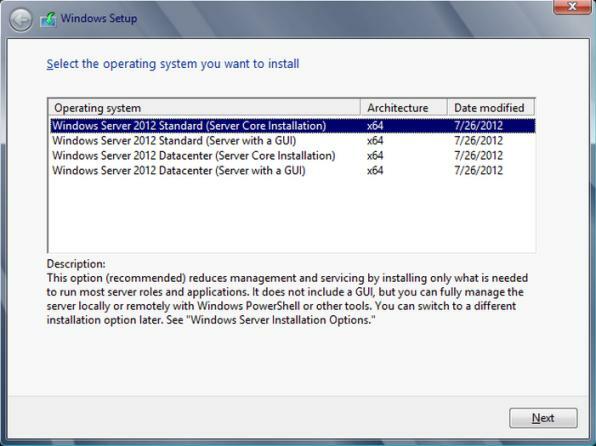 The server sibling of Windows 8, Windows Server 2012, which was previously aptly known as Windows Server 8, has gone RTM at the same time with Windows 8, and has also been leaked. The leak from W.Z.T is an original Microsoft ISO image of Windows Server 2012 which includes the SKUs of Windows Server 2012 Standard edition and Windows Server 2012 Datacenter edition, the most comprehensive edition for Windows Server 2012. The 64-bit Windows Server 2012 ISO is from VL (volume licensing) channel. Do search for the torrent with the name of MICROSOFT.WINDOWS.SERVER.2012.DATACENTER.RTM.VOLUME.ENGLISH.DVD-WZT for the download.